Berwick Rangers are pleased to announce that a deal has been agreed with former Arbroath, St Johnstone and Elgin City midfielder, Keiran Stewart. Stewart, who is equally adept at right full back, was a free agent having left The Black and Whites at the end of last season. Eagle eyed fans will have noticed Keiran playing at the open day last Saturday as he integrates with his new team mates. Keiran is comfortable on the ball and will add some much needed competition to the midfield and defensive areas of the squad. Stewart any good? The club has dressed his arrival up nicely, but since Elgin released him I'm not sure if he's a direct improvement. Happy to know what you all think of him. Def a good squad player for us last season. Personally I'd have kept him. Difficult to say what he did well. Comfortable enough on ball without creating anything much. Not particularily good on air for size, same for tackling, poor goal scoring ratio, not only at Elgin. Nice lad though. Squad player at best. Elgin were right to let him go if they want to improve, but with lack of other signings would probably take him at mo! I see from today's P&J that our captain, Archie MacPhee, has now left. He's gone to Formartine United and gave as the reason for leaving ECFC the new central belt location for training. Personally, I think that, while moving training to central Scotland might make sense in terms of access to more players, the club loses some identity when the only time players are in Elgin - or even north of Perth - is on a matchday for a home game. At the same time, I wonder how Brian Cameron and Darryl McHardy feel about it? They are Elgin-based and, for me, the main reasons I continue to identify with the team that represents where I'm from. I like Jim and Gavin, but I really struggle to see what the long-term aim is for ECFC. Is League 2 just going to be (or is it already) a battle of central belt-based players pulling on the shirts of Elgin, Annan, Berwick etc.? If so, what the hell is the point in those clubs being in the league when their playing personnel isn't representative of the town or area where they're from? If you want to be able to improve you can't just limit yourself to players from your own area. How many clubs actually have local players in the lower leagues? I'd be surprised if there was even one from the town of the club in the lower league senior clubs. Might have been different for you as you're so far out the way. We've got Swankie, Arbroath born and bred then we've got 4/5 guys from Dundee, which is 15 minutes away. Don't really see it being any different to when we've had teams with no players from half an hour of the town though. We train in Perth and doing this allows us to have players from all over the country on our books. We've got a player from Aberdeen and a player from Stevenson in Ayrshire. If we trained in Arbroath or whatever it wouldn't be possible and we're still a lot closer to the central belt than you lads. Hour and a bit to Edinburgh just under 2 to Glasgow. I think it's a sensible move and it's the only way the club can progress IMO. Although the players might not all be local, the fans, the people running the club and the people investing money and time in the club are local. Players come and go but everyone else is there for life. They're the local representation. This is a very good post. It's been only recently that we've been able to regain our identity as something of a local side playing "local" players - fair enough you're talking about Dingwall or Inverness but considering we'd train at Millburn Academy that was good enough for me. It seems that, in the space of a summer, the arse has been ripped out of the side and we are back in the same place as a few years ago where we essentially had a group of Scottish lower league jobbers, each individual training at a different welfare or juniors side, with the odd token Elgin-based player. This could work out very well for us and we certainly wouldn't be the first team to have their own squad travelling for hours for home games, but unless we can hit the ground running in the first half of the year then people are quickly going to lose interest. I saw that Stewart Black has signed for Lossiemouth in the Highland League, and there's still a massive amount of bad blood between him and our current management due to the way he was forced out. I sincerely hope that this hasn't been the case for the likes of Craig Gunn, Mark Nicolson etc as we risk alienating a huge amount of people in the Moray area. Out of interest where are Elgin training now? Fair points by all. IMO It was time for Gunn etc to go. Their best days have passed and not good enough to get Elgin out of Division. We need a clean slate even if this season is a transition. McPhee was same, using south training as an excuse was always going to Formartine. Elgin players training with Steve Dunn locally. Black banjoed one of his own team mates hence him leaving. Elgin have always had mostly south or HL days, Aberdeen based players. It's all due to location, we have not got enough players good enough and willing to play for Elgin in North hence we have to get players from south. Top juniors/ Lowland League teams better than HL these days. Who were our triallists this week? Same as last week plus Steven Bronsky (ex Annan) and Lewis McLear (ex St Mirren). Need to make signings soon with two defenders and first game on Saturday. 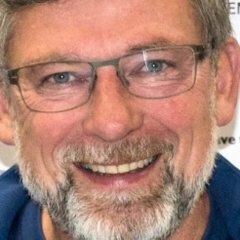 Bronsky, Eadie and McKinnon have signed for the season. Hope they're up to standard. Looking forward to seeing them on Saturday. Happy enough with those signings on what I've seen of them. Just praying for McLeish or whoever is up front to score regularly. That killed off our title challenge last season once Shane was out. I'll be interested to see what Calum Ferguson has to offer. I wouldn't mind someone else with a bit more experience.